Children will be racing to Wincanton Racecourse this Sunday, April 14th, where there’ll be a free Easter egg for the first 250 to arrive! It’s a day that’s packed full of complimentary entertainment, and it’s free for under 18s-too. There’ll be a host of other activities too, all absolutely free, such as face painting, rosette making, silk designing, and riding the equiciser, all in the family-friendly tent. Outside there’ll be bouncy castles to play on and Mascot Men will be circulating throughout the afternoon for pictures, jollied along by the Wincanton Steel Band; it’s sure to be a vibrant start to your Easter. Also on the agenda is the prestigious The McCreery Military H’cap Hurdle, for Military Amateur Riders, when those in the armed forces can show their prowess on-board horses (sponsored by John and Doone Chatfeild-Roberts). 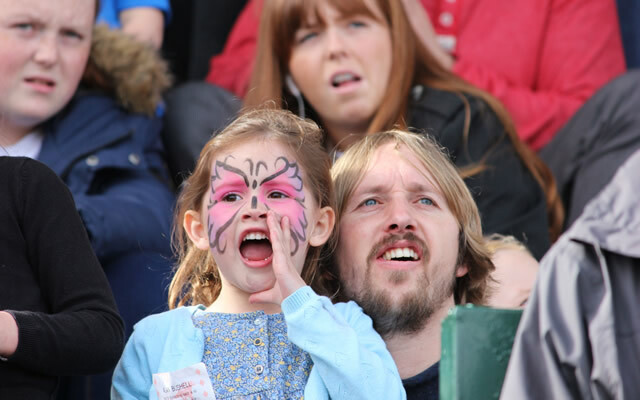 Two pre-booked grandstand and paddock tickets are just £25 and under-18s go free. Gates open at noon, with the first race off at 1:55pm. Visit www.wincantonracecourse.co.uk for further information.